S -20° 36' 0" and E 48° 19' 59"
Sahavato in Vatovavy Fitovinany Region with it's 28,000 habitants is a city located in Madagascar about 128 mi (or 205 km) south-east of Antananarivo, the country's capital town. Current time in Sahavato is now 10:52 PM (Saturday). The local timezone is named Indian / Antananarivo with an UTC offset of 3 hours. We know of 8 airports closer to Sahavato. The closest airport in Madagascar is Mananjary Airport in a distance of 42 mi (or 67 km), South. Besides the airports, there are other travel options available (check left side). Since you are here already, you might want to pay a visit to some of the following locations: Ambositra, Antsirabe, Fianarantsoa, Ambatofinandrahana and Manakara. To further explore this place, just scroll down and browse the available info. Let's start with some photos from the area. Ambodilafa is a town and commune in Madagascar. It belongs to the district of Nosy Varika, which is a part of Vatovavy-Fitovinany Region. The population of the commune was estimated to be approximately 21,000 in 2001 commune census. Only primary schooling is available. The majority 99% of the population of the commune are farmers. The most important crop is rice, while other important products are bananas, coffee and cassava. Services provide employment for 1% of the population. Located at -20.5, 48.1833 (Lat. / Lng. ), about 12 miles away. Androrangovola is a town and commune in Madagascar. It belongs to the district of Nosy Varika, which is a part of Vatovavy-Fitovinany Region. The population of the commune was estimated to be approximately 16,000 in 2001 commune census. Only primary schooling is available. The majority 99% of the population of the commune are farmers. The most important crops are coffee and pepper; also rice is an important agricultural product. Services provide employment for 1% of the population. Located at -20.5167, 48.2333 (Lat. / Lng. ), about 9 miles away. Fiadanana is a town and commune in Madagascar. It belongs to the district of Nosy Varika, which is a part of Vatovavy-Fitovinany Region. The population of the commune was estimated to be approximately 21,000 in 2001 commune census. Only primary schooling is available. The majority 95% of the population of the commune are farmers. The most important crop is coffee, while other important products are pepper and rice. Services provide employment for 5% of the population. Located at -20.4333, 48.3833 (Lat. / Lng. ), about 12 miles away. 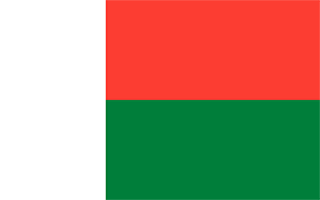 Sahavato is a town and commune in Madagascar. It belongs to the district of Nosy Varika, which is a part of Vatovavy-Fitovinany Region. The population of the commune was estimated to be approximately 28,000 in 2001 commune census. Sahavato has a riverine harbour. Primary and junior level secondary education are available in town. The majority 90% of the population of the commune are farmers. The most important crop is coffee, while other important products are cassava and rice. Located at -20.6, 48.3333 (Lat. / Lng. ), about 0 miles away. Vohilava is a town and commune in Madagascar. It belongs to the district of Nosy Varika, which is a part of Vatovavy-Fitovinany Region. The population of the commune was estimated to be approximately 15,000 in 2001 commune census. Only primary schooling is available. The majority 98% of the population of the commune are farmers. The most important crop is rice, while other important products are coffee and cassava. Services provide employment for 2% of the population. Located at -20.7, 48.35 (Lat. / Lng. ), about 7 miles away. Vohitrandriana is a town and commune in Madagascar. It belongs to the district of Nosy Varika, which is a part of Vatovavy-Fitovinany Region. The population of the commune was estimated to be approximately 31,000 in 2001 commune census. Vohitrandriana is served by a local airport. Primary and junior level secondary education are available in town. The majority 95% of the population of the commune are farmers. Located at -20.75, 48.2667 (Lat. / Lng. ), about 11 miles away. These are some bigger and more relevant cities in the wider vivinity of Sahavato.